Within a three-minute period during rush hour in Madrid, ten bombs exploded around three railways stations — the main terminus of Atocha and two smaller ones, El Pozo and Santa Eugenia. The attacks killed 191 people and left 1,755 injured. Eyewitnesses reported pieces of train thrown into the air and bodies being trapped in twisted iron. Corpses lay on the tracks and the dazed and bloodied walking wounded had to step over them on their way to receive medical attention. The bombings were just three days before the general election in Spain and President Aznar’s government, keen to downplay outside intervention, announced that Basque separatist group Euskadi Ta Askatasuna (Eta) had been responsible, even going so far as to arrange anti-Eta demonstrations on the streets the day after the bombing. The police found three more unexploded bombs and safely detonated them. With them was a mobile, which was linked to Jamal Zougam, a Moroccan with links to Abu Dahdah, a Muslim terrorist. On 13 March seven men suspected of helping the bombers were arrested. They were three Moroccans, two Indians and two Spaniards. Forensic examination showed that the bombs were unlike those normally used by Eta. The election went ahead and the Spanish people had their revenge for Aznar’s lies and, many believed, his support of the Iraq War by voting him out and replacing his People’s Party government with a socialist one led by José Luis Rodriguez Zapatero. He immediately promised to withdrawall Spanish troops from Iraq. On 18 March five more men, all but one Moroccan, were arrested. Yet more Moroccan links came on 22 March with more arrests. In April 2004, as the police went to arrest them, four more terrorists (three Moroccan) blew themselves up. Among them was Sarhane Ben Abdelmajid Fakhet, a Tunisian thought to be the main perpetrator of the Madrid atrocity. 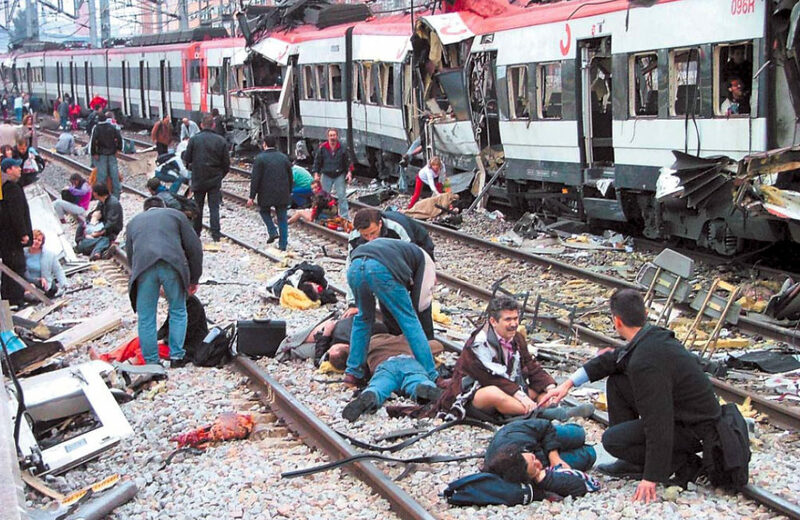 However, the Spanish judiciary declared that the bombers were a loose collection of Algerian, Syrian and Moroccan Muslims with no link to the non-existent al-Qaeda organization.